He was just in Jordan last month, visiting Syrian refugees. 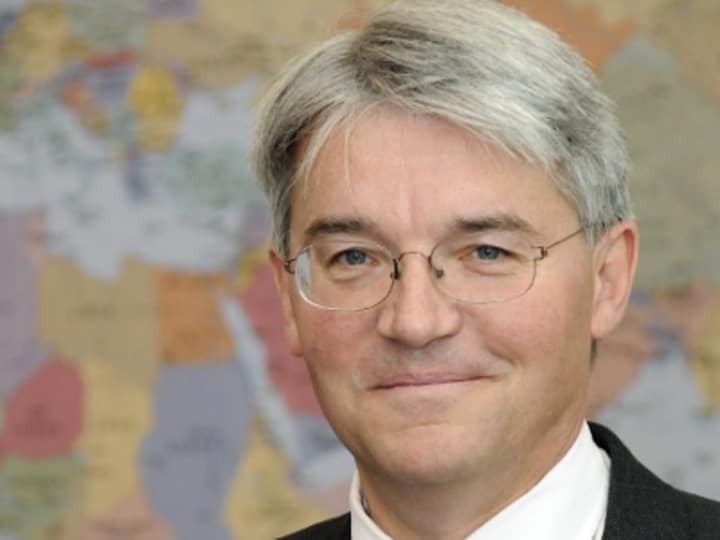 But on Tuesday (Sept. 4), the development community woke up to the news that Andrew Mitchell is no longer the United Kingdom’s international development secretary. In his first cabinet shake-up, U.K. Prime Minister David Cameron appointed Mitchell to the position of chief whip Monday evening. Mitchell will be replacing Patrick McLoughlin, who reportedly is being considered as transport secretary. Mitchell will be replaced by Justine Greening, the outgoing secretary of state for transport. The move is effective immediately. And according to a Conservative Party member, the chief whip position was what Mitchell has “always wanted,” the Guardian reports. The decision will see Mitchell bringing his “energy” and “passion” in the international arena back home as the United Kingdom “embarks on the next, vital phase of its mission to restore our economy to growth and reform our public services,” Cameron said in a statement. Mitchell has led the U.K. Department for International Development for more than two years, having sat as development secretary in May 2010. But prior to that, he was the shadow secretary of state for international development for five years. Britain has moved to the forefront of development efforts in the international scene under Mitchell’s watch. He boosted the United Kingdom’s foreign aid brand, pushing for transparency and value for money through aid reviews. In June, he also unveiled a new logo that popularly identifies British aid in all of the country’s development projects around the world. But perhaps one of the most notable achievements in his term as development secretary was being able to dodge cuts to his department.